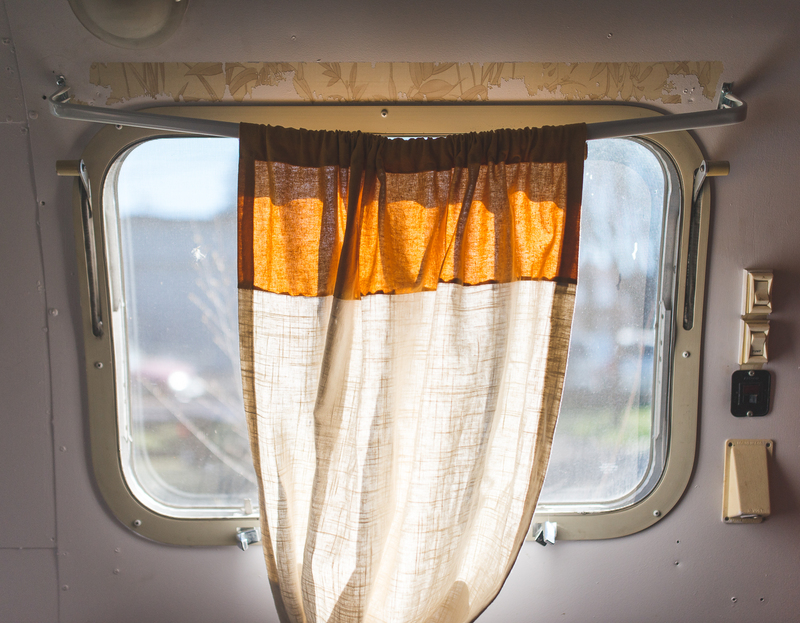 “It was fascinating,” she said. 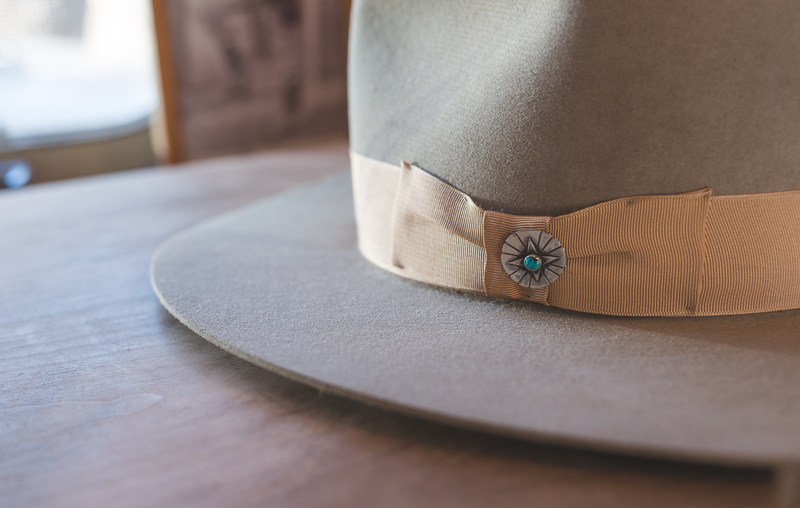 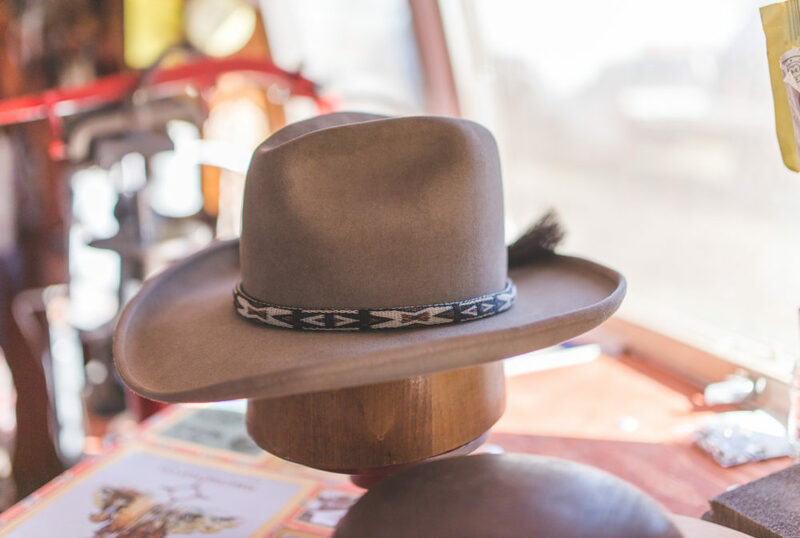 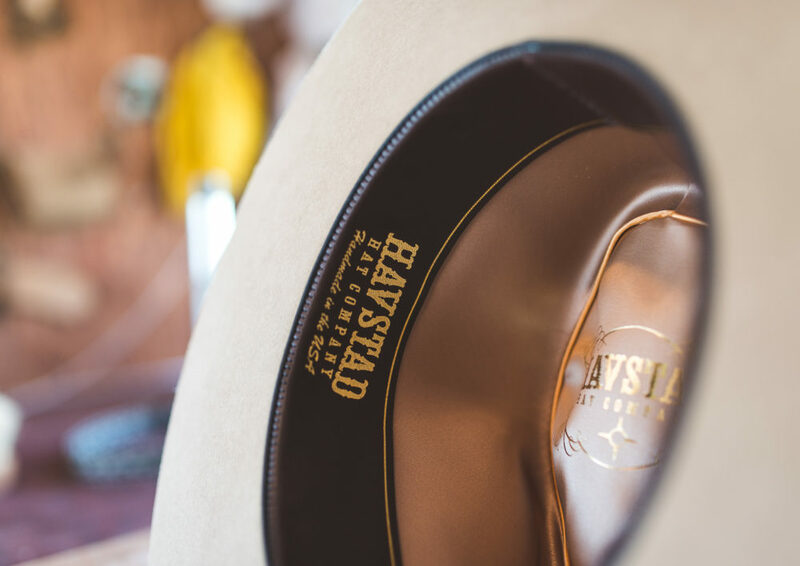 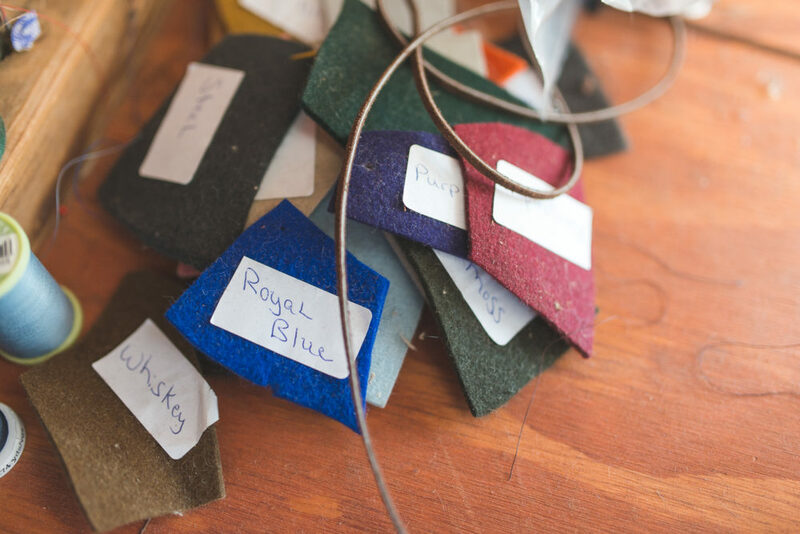 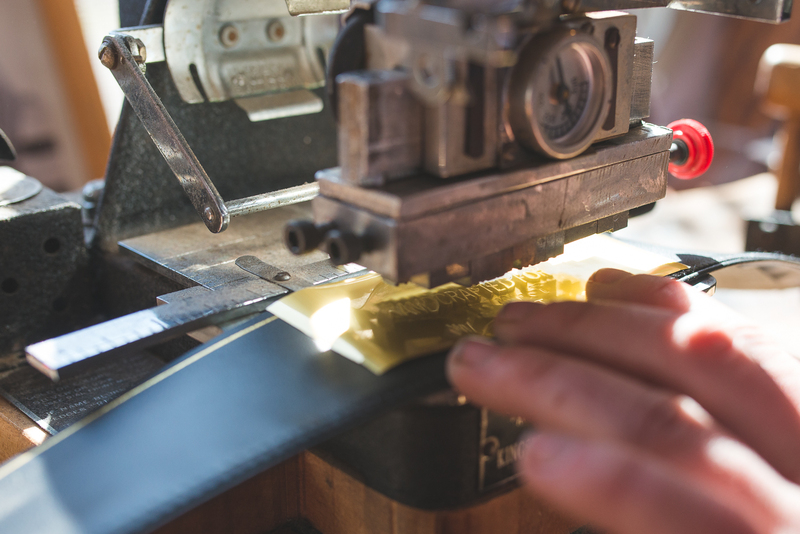 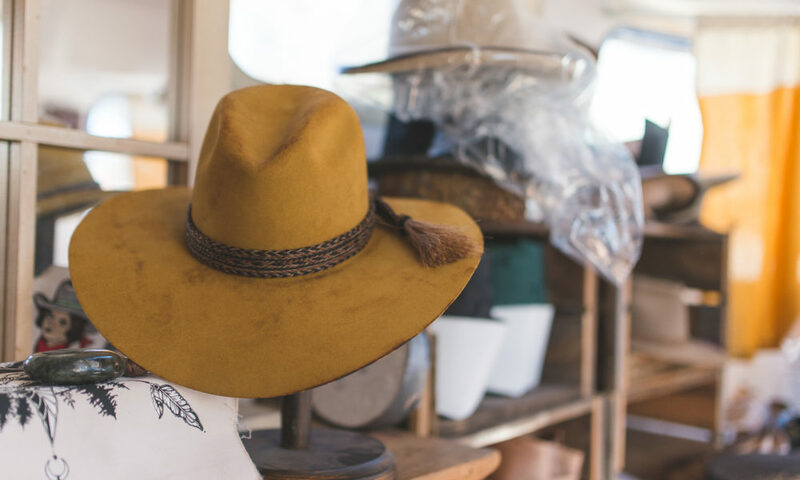 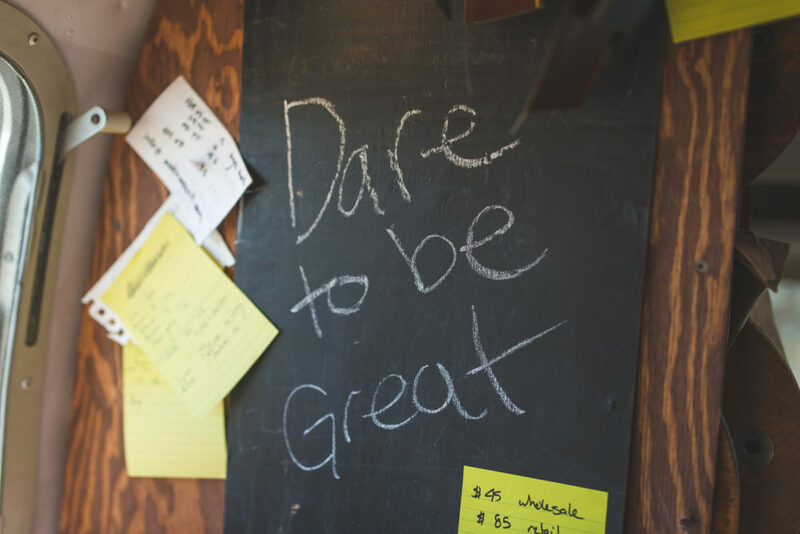 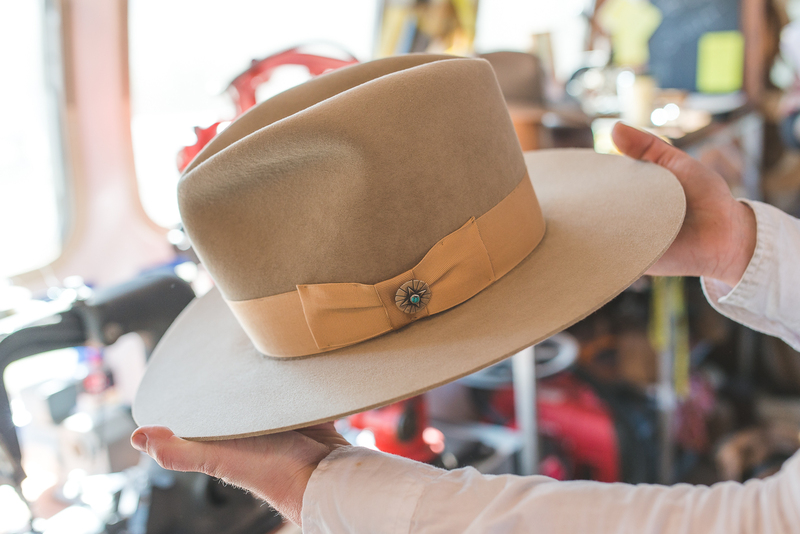 “There’s a tiny little pocket of master hatters left.” She chose one to apprentice with—later found other mentors in the field—and began building hats out of a horse barn before she moved her business into her 32-foot 1986 Excella. 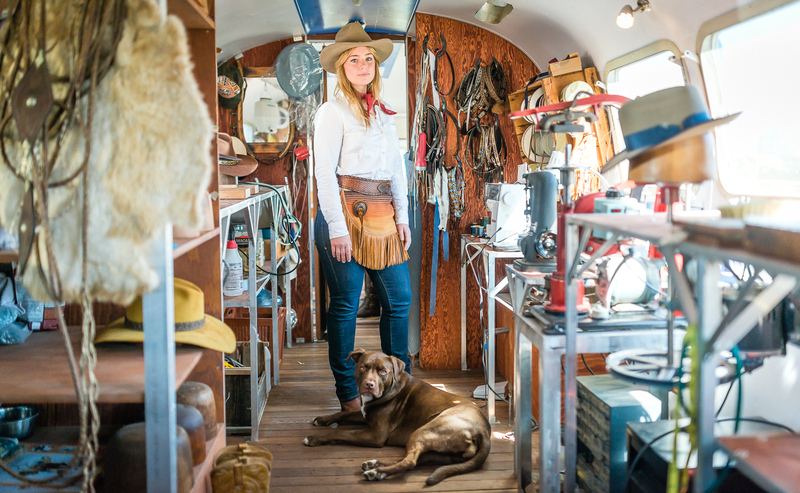 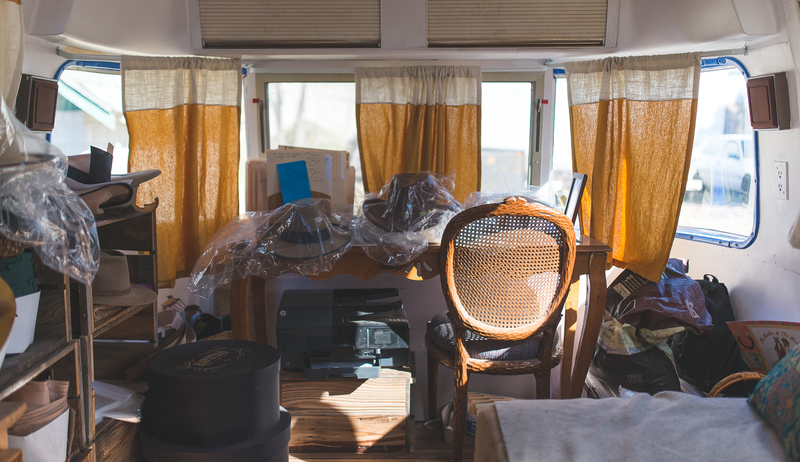 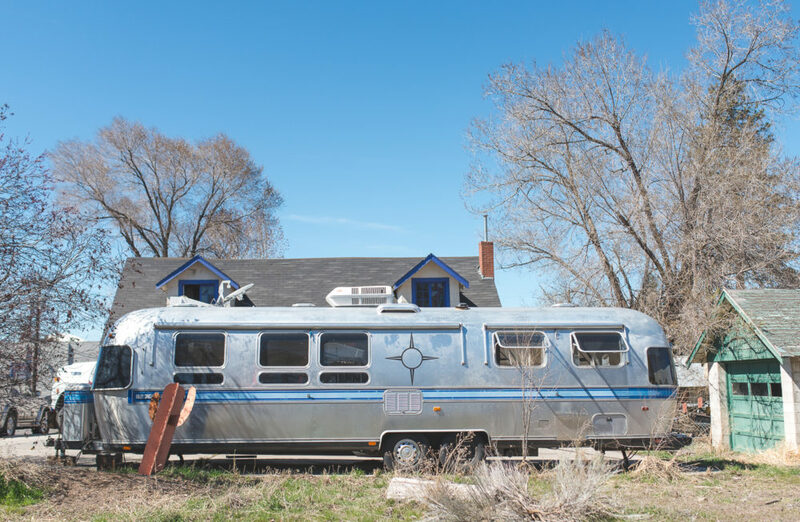 She wasn’t married to the idea of an Airstream at first; she was merely thinking mobile. 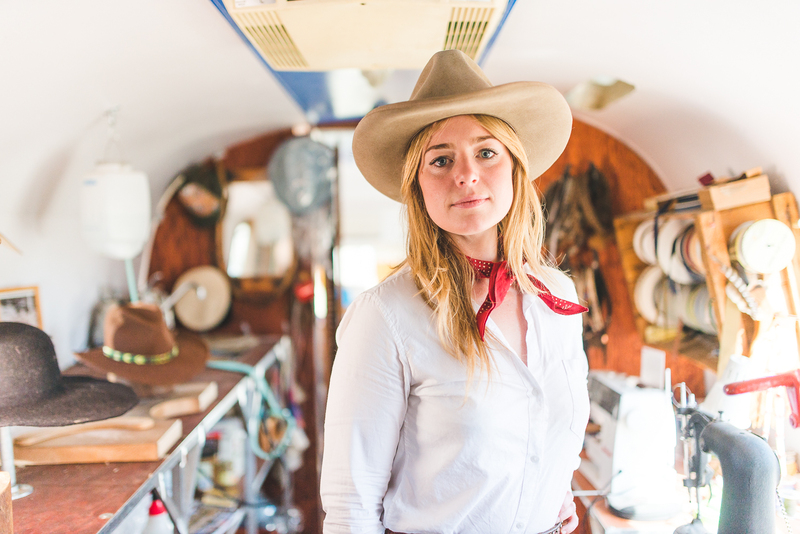 “I wanted to have a job doing what I love and still have the freedom to travel and see my friends around the country,” she said. 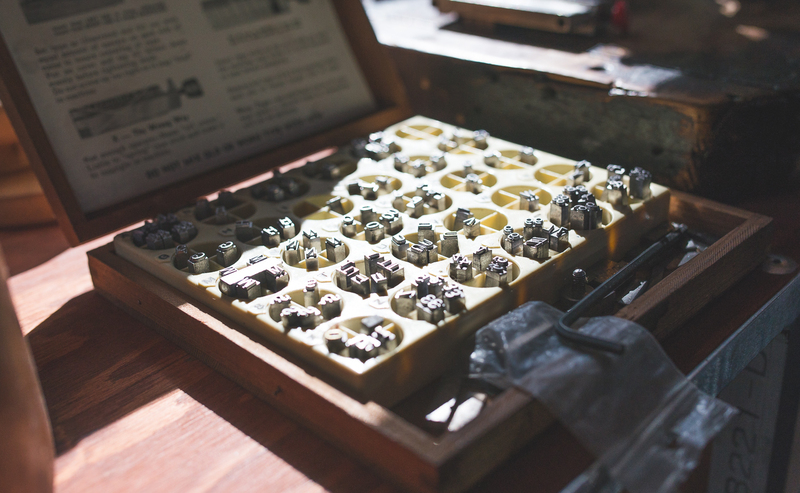 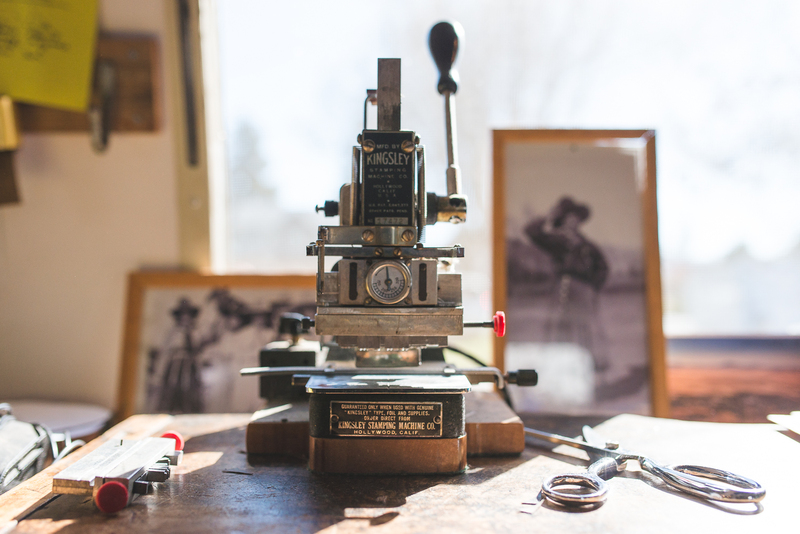 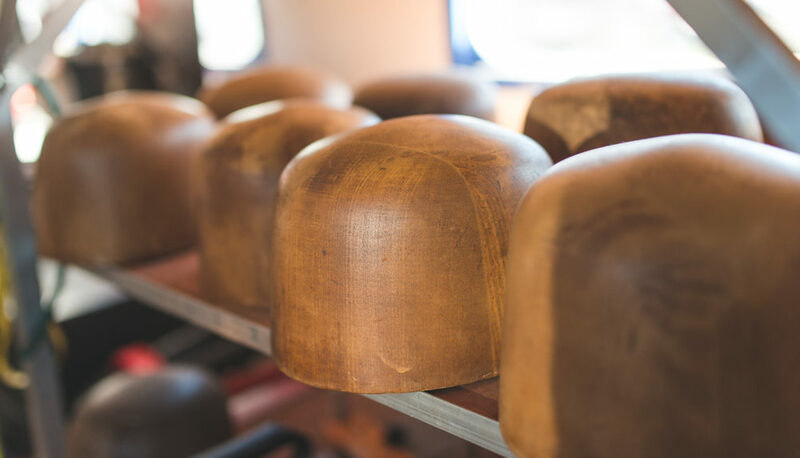 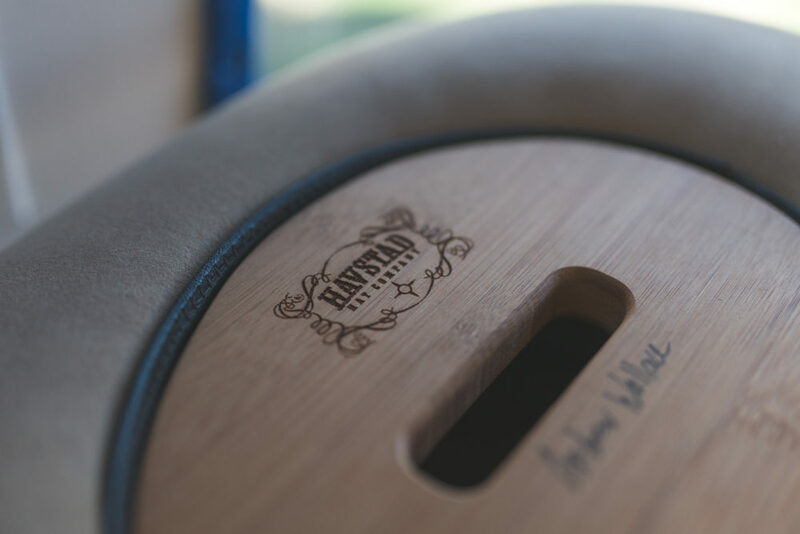 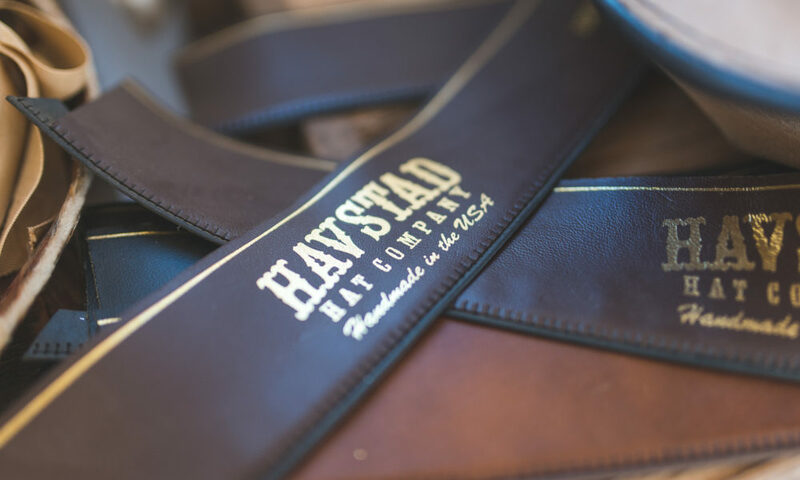 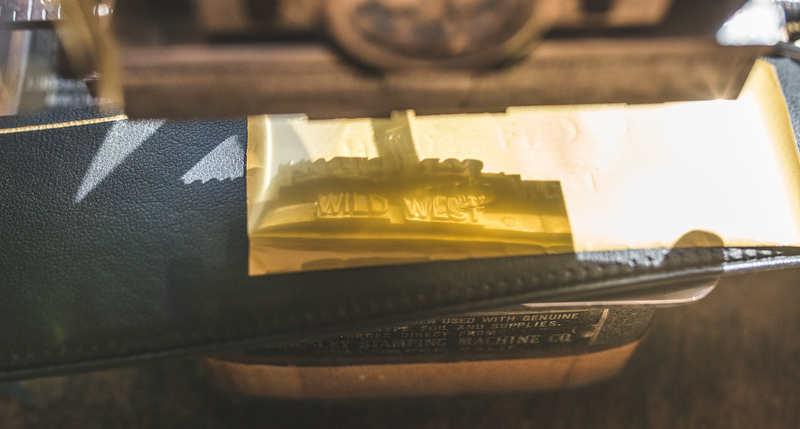 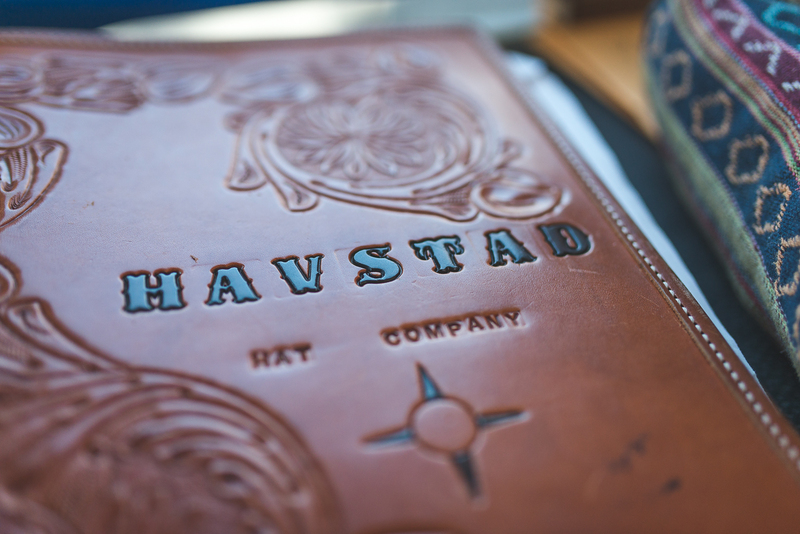 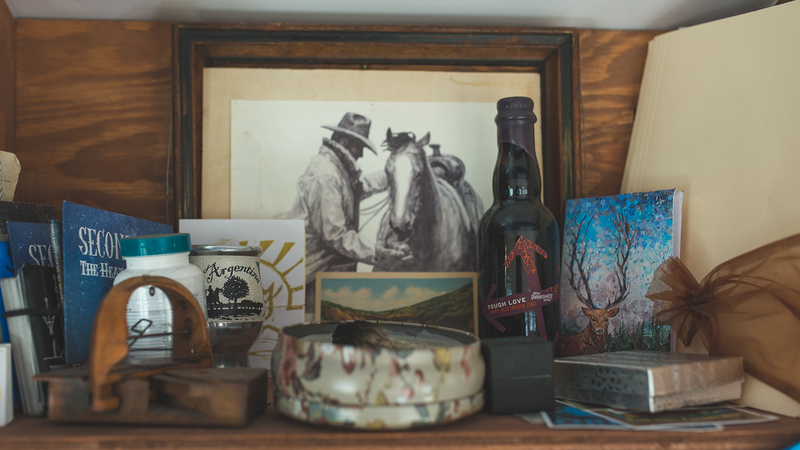 “I think I find a lot of inspiration through my travels.” But Havstad wasn’t sure if the circuitry in a trailer could handle her electrical equipment, and was concerned about the protection and storage of her essential collection of vintage hat blocks dating from the 1920s. 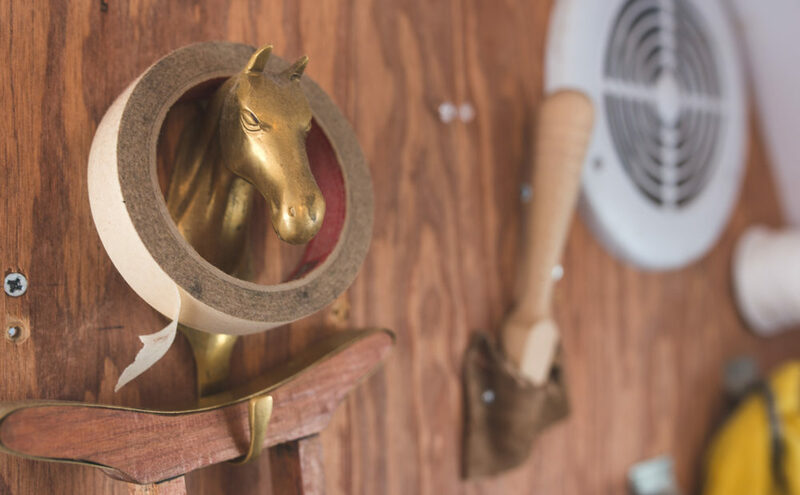 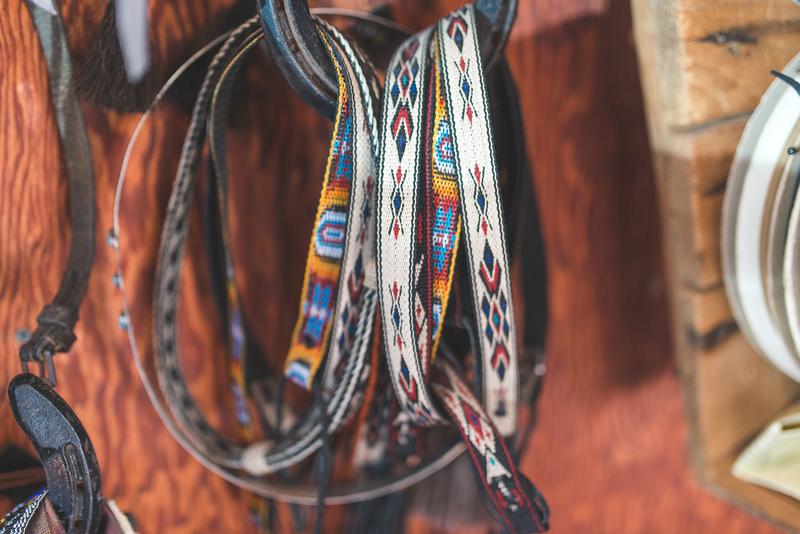 There’s also a sewing station with storage for all her ribbons, hatbands, and threads; a cupboard housing experimental hats; and her bench of hand tools, “probably one of my favorite little areas in the whole place,” she said. 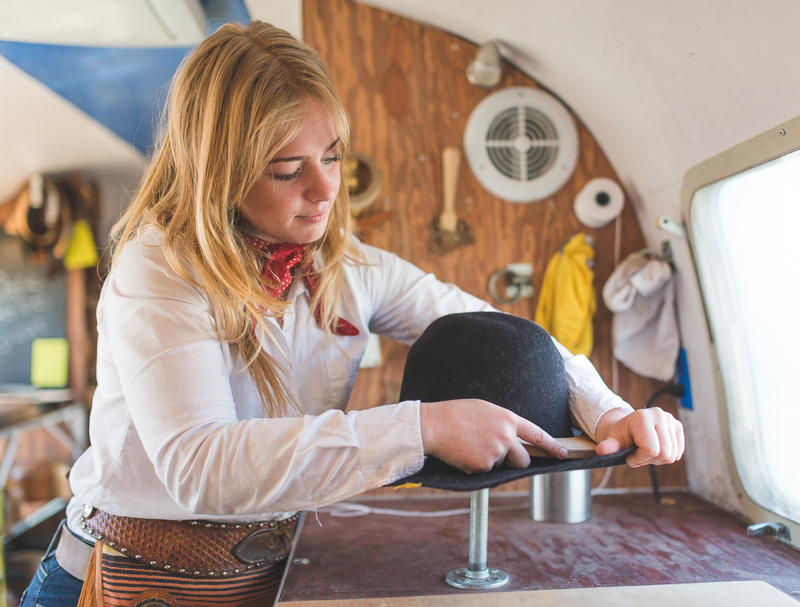 “I have to keep in mind that I’ve got all this really important stuff, so how do I travel with it safely?” Among her tools are a tolliker (that breaks the crown from the brim at a sharp 90° angle), a pusher-downer, (“that’s a technical term”), a puller-downer, and a brim cutter.